The fantastic weather and resort-like atmosphere make Tampa Florida team building activities incredible. Our Tampa office covers locations including Clearwater and St Petersburg, but we also travel as far south as Fort Meyers and as far north as Tallahassee. Because of the want for outdoor team building activities here, one of our most popular programs is the Camaraderie Quest team scavenger hunt, but we also conduct a lot of Ace Race ® golf team building activities as well. We conduct five different charity team building activities in the greater Tampa-St Petersburg area. For a complete list of programs, click the links below for details. 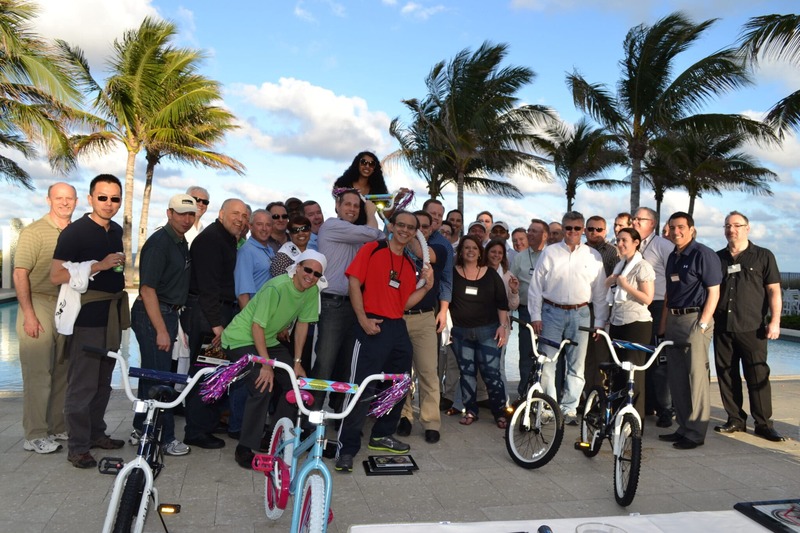 A Few Recent Tampa Florida Team Building Activities.